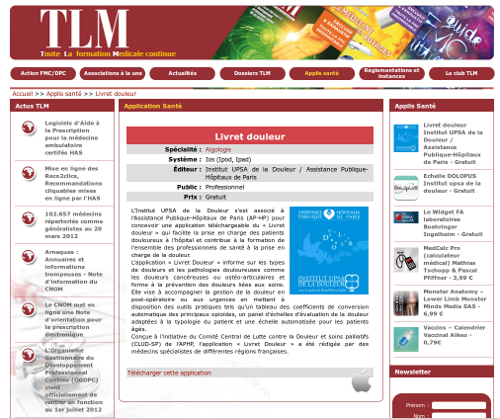 TLM FMC is the French principal magazine around medical training. 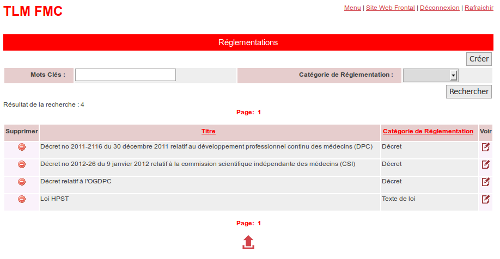 We realized their new portal with a lot of functionalities around their specialties. 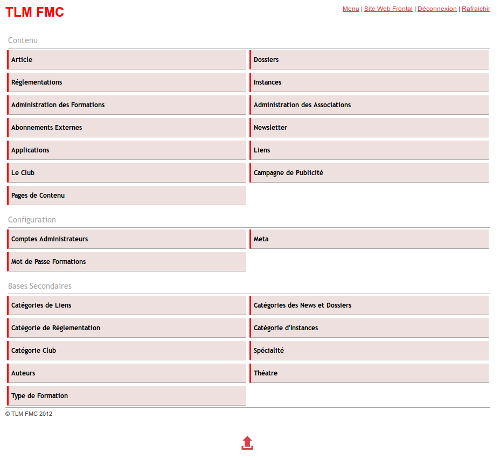 The front office offers access to all the courses in France with their details, in relation with every training centers. 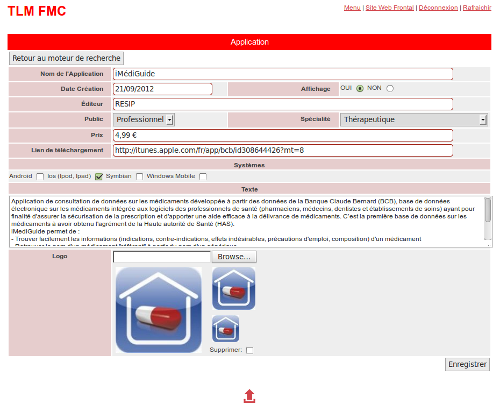 There are a news part, a folder part (to match the magazines) and a Smartphone application management. The club offers their subscribers tickets for some shows. 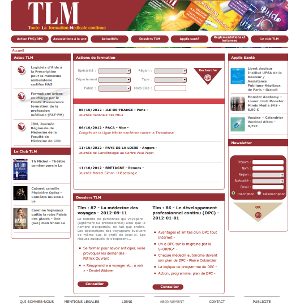 The website allows them to communicate with people willing to register with them or subscribe to the magazine. They offers some links and they can add as many content pages as they wish. We made, as well, a lot of internal functionalities they can use with their own customers. The back office give them hands to totally manage their data. They have some tools for CSV import & export. To avoid usual security problems coming from the free and public solutions, we used our CMS based on our own framework made in MVC O.O.P. PHP5 and PDO/Mysql , SEO oriented, with JQuery. The generated code is XHTML valid and approved by the W3C. The development was made in English using our internal multi-language translation tool, so the production website naturally runs in French. This tools allows us to work and develop software and websites in absolutely every languages of the world.